After rocking a stellar Super Bowl 50 pre-party performance at AT&T Stadium in San Francisco, Metallica have announced one more U.S. show for 2016. 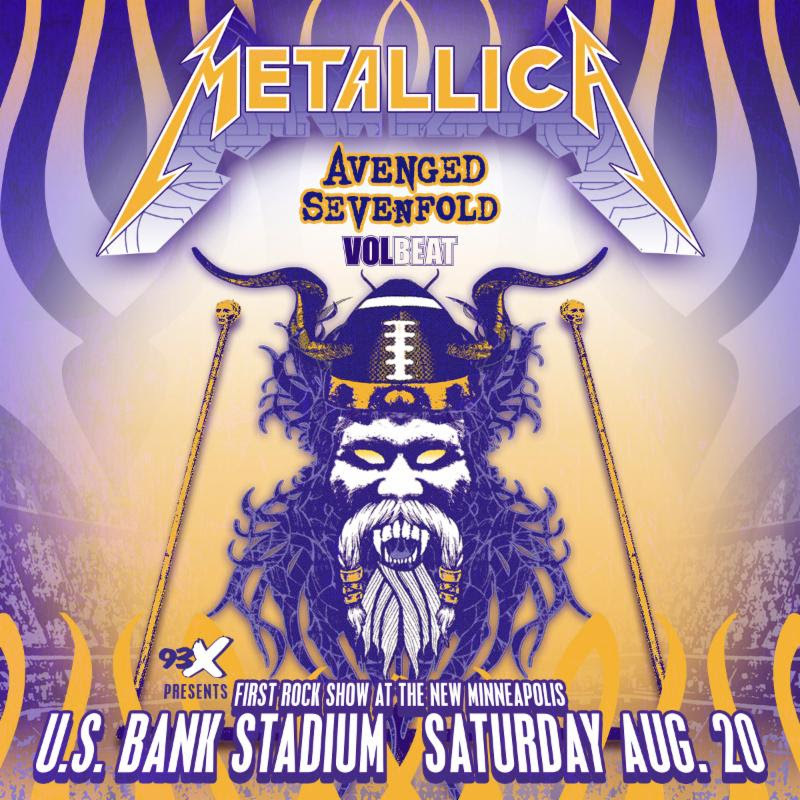 The band will headline the first-ever rock concert at the new U.S. Bank Stadium in Minneapolis, MN along with very special guests Avenged Sevenfold and Volbeat on Saturday, August 20. Metallica will be offering a presale to the Met Club beginning March 22nd at 8AM CST (running through March 24th at 10PM). Both Avenged Sevenfold and Volbeat will offer presales to their fans beginning March 22nd at 12 Noon running through March 24th at 10PM. For more information on ticket presales visit www.metallica.com/tour, avengedsevenfold.com/tour, and volbeat.dk/3/dates. 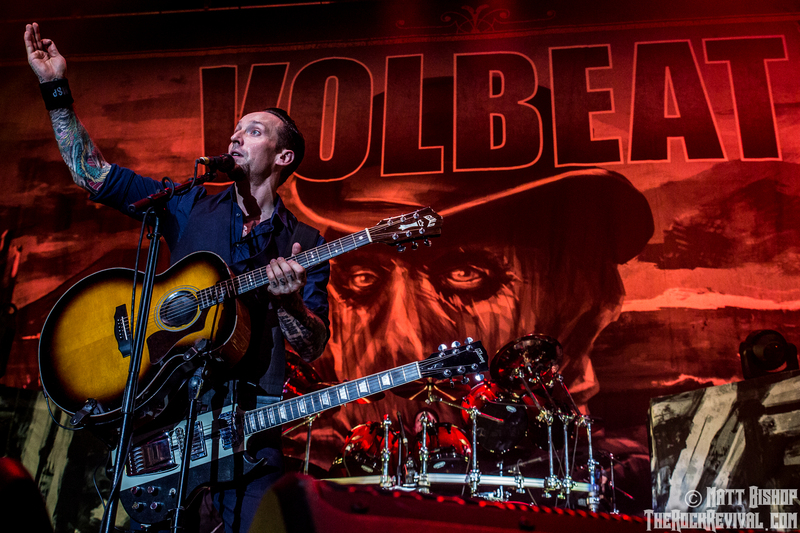 Both Avenged Sevenfold and Volbeat were special guests hand-selected by Metallica at the band’s inaugural Orion Music + More Festival in Atlantic City, NJ in 2013. 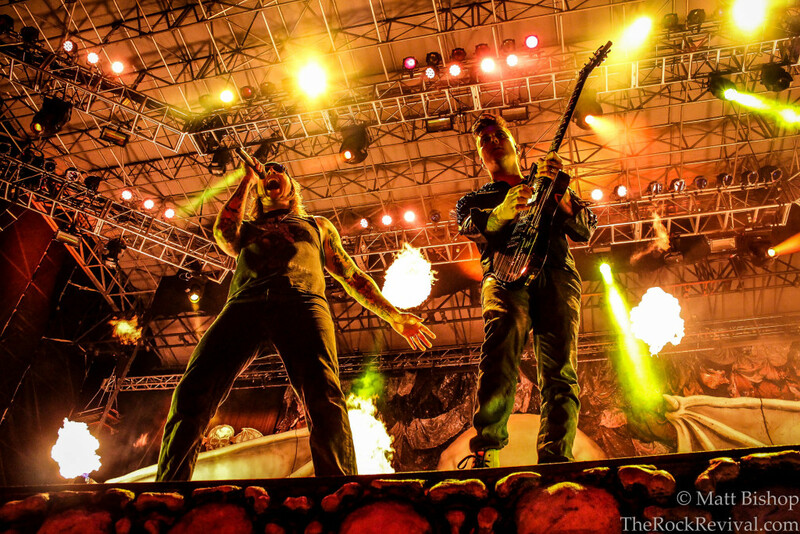 Both Metallica and Avenged Sevenfold are currently in the studio working on new albums. 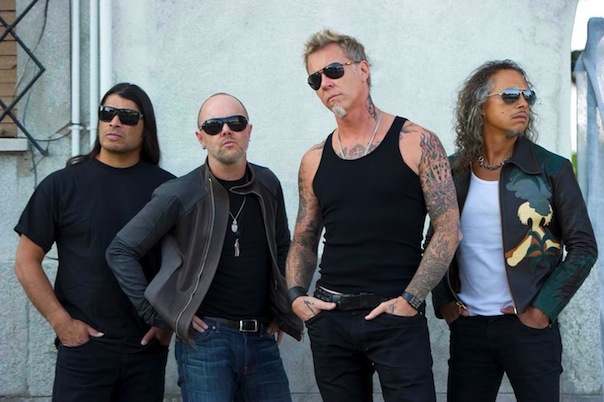 Tagged avenged sevenfold 2016 tour, Avenged Sevenfold new album, concert, festival, heavy metal, James Hetfield, Kirk Hammett, Lars Ulrich, M. Shadows, matt bishop photo, Metallica, metallica 2016 tour, metallica avenged sevenfold volbeat, metallica minneapolis, metallica new album details, metallica new music, metallica u.s. bank stadium, Michael Poulsen, music, music news, rock revival, Volbeat, volbeat 2016 tour, volbeat tour. « WILL AC/DC GUITARIST ANGUS YOUNG FOLLOW SLASH’S SOLO PATH?